First of all, I would like to remind all of you that tomorrow is the 15th days for final month of the year. Better do your closing before the holiday fever haunted you. – just a short commercial break here. Anyway, wihu! What a weekend! December is the month of “get your things done in time”. I hate being busy but I have no option but to stress a bit this month. However, I still enjoy my weekend and it is very worthy for the word “tired”. Baiklah, apa cerita sibuk-sibuk ni kunun? 12 December 2008, Friday not the 13th..
Well, on Friday afternoon, I work until 7.30pm, finish up my inventory for the week. Mom arrived around 7.45pm and we are heading to Kg. Simpudu, Papar at my cousin house. 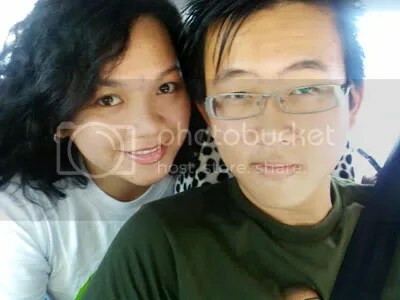 On our way to Papar, we stopped at BTC restaurant, Inanam to have our dinner. Usually I will ordered Nasi Beriyani whenever we having meal here. Unfortunately, my favourite food dah habis.. 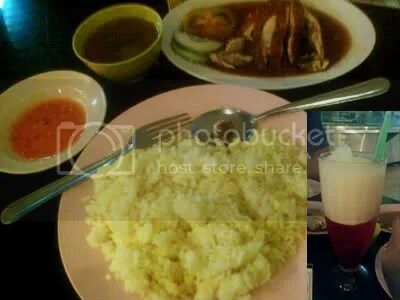 So, Nasi Ayam pun bolehlah.. and ordered Strawberry Lasi for my drink. We reached Papar around 9.30pm. We have a short chit chat, watch Kuntilanak 3 in my laptop, and ended Kuntilanak wacth me sleeping. I woke late that day, almost 10am. All awake except my brother and I. (Yea, we like sleeping and stay up late) One of my cousin was thinking to seek the doctor in Damai Specialist Centre about his nose infection matter. (Tepat pada waktunya, saya pun mau jumpa my girlfriend Eleanor di sana..) So I met Len at her workplace for the first time. Macam jakun juga lah, first time masuk Damai Specialist Centre and the office itself. Rupanya Polina pun kerja sana, erm.. bahagian Farmasi.. Now I have quite a number of friends who involved in medical line. Kalau sya mau beranak nanti, sya mau select siapa yang kasi beranak sya juga.. Anyway, Eleanor is not in medical department, she’s in marketing line and I adore her way of doing PR! Ok, enough of her (sya takut dia kembang yang melampau). My mom read there are free Blood test and in a small charge to test your BMI in the hospital. So, we did it and the result is a warning to me. Veralyn! You are officially OVERWEIGHT! 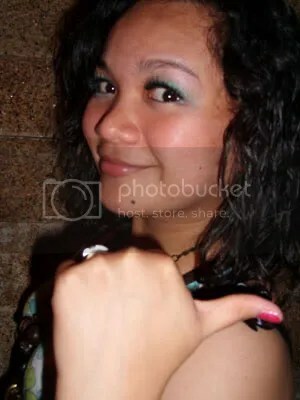 OMG..I better do something with my diet and lifestyle but the result not affected our party that night. 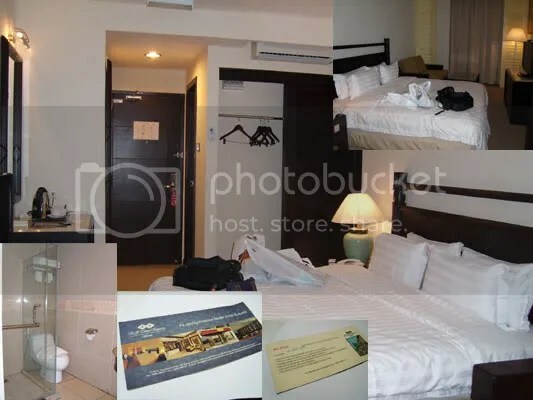 After done playing around at Damai Specialist Centre, Len passed me the pre-opening voucher staying at KK Times Square for one night which I enjoyed a night in the hotel after partying. Now is the best part..
Tag: Check in and get ready for the party. Mood: Flu, Nervous & Excited. Eleanor and Cornelia arrived around 9.15pm, our main purpose is not just to party but meeting our friends. For me, I am not a clubbers and never once. I just enjoying meeting new people, take pictures and blogging. That’s all. 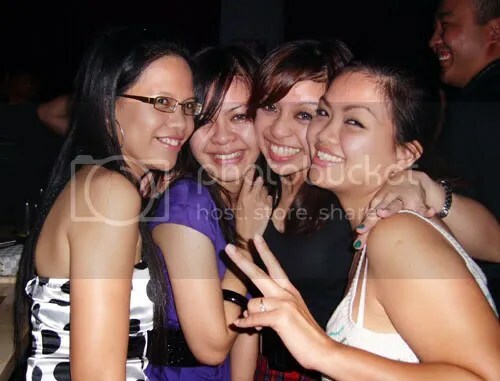 My interest going such place is to have fun with all my girlfriends. Actually banyak lagi mau cerita bah ni.. but very sleepy at the moment.. Tomorrow had to work again. Hope you enjoy the pictures and Good night everyone. 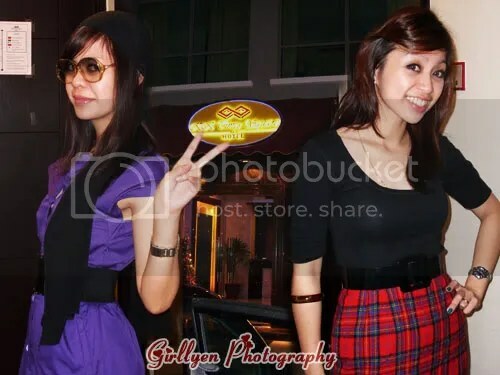 uiii girll, i lav those pics ooo…send3… wakakakka..
oppss..btw dis is anne ahh.. hehe..
Uiii… sy terasa mcm sy ni model KK times Square oh..Wakakakakkak. Gilaaaaaaaaaaa! hai, can u introduce me ur friend who work at damai? i need her favor.